The contextual significance of data has grown at an unprecedented accelerated pace driving companies to empower its employees with enterprise data as well as the ability to participate in business processes from any place and any time. We at Daemon, understand this change in paradigm and have built the required capabilities in collaboration with our partners. 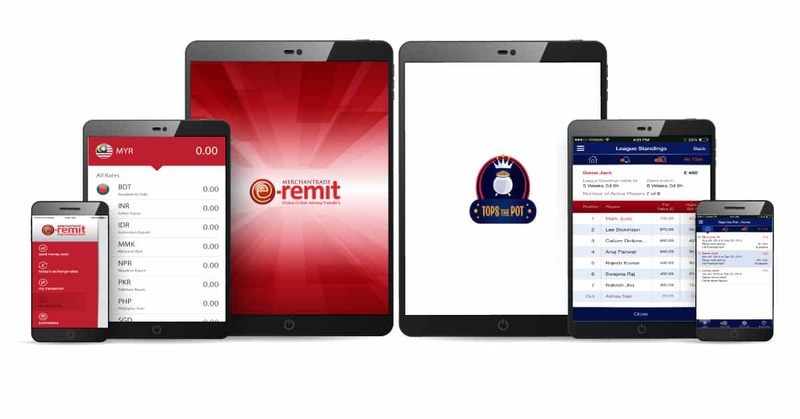 We have developed numerous state of the art mobile apps,(such as the remittances solution, Field service automation app, Learning management system app etc.) that have the ability to unshackle enterprise data, fast-track key business processes, accelerate decision making and improve involvement with consumers-for maximized revenue and increased productivity. Daemon prides itself on having highly skilled and qualified solution architects, application developers, Mobility consultants and Experts with extensive domain and technology expertise. Daemon helps to mobilize business across any mobile platform including iOS, Android, and Hybrid technology. The social significance of collaboration and sharing of information is of prime importance. With multiple deployment, our experience shows that with the help of Social platforms, communities can be brought together to fight crimes, to proliferate cultural messages and to unify people for a common cause. Daemon has the unique capability to create apps that can leverage the power of Social Media and community collaboration. Platform Migration/Porting : The mobile apps are enabled for migration from one Operating System to another. The Domain/Industries in which Daemon has domain expertise include Healthcare, Accounting, Banking & Finance, Education, Hospitality, Transport & Logistics, Real Estate, mCommerce, Utility, Gaming etc.